Writer John Ostrander knows about heroism. The writer of some of our favorite titles, including Suicide Squad, The Spectre and some great Star Wars comics, Ostrander has often dealt with heavy issues of morality and sacrifice in his work. In this piece, reposted from ComicMix, Ostrander takes issue with one aspect of the recent Doctor Who stories. Doctor Who returned to TV the other day, and my household is thrilled. Big fans of the Doctor here; I once wrote and tried to produce a Doctor Who stage play with the idea that this was the only way I would ever get to play the Doctor. The play never got to production and, despite being the writer and the producer, I couldn't get cast as the Doctor which tells you, right there, one of the big reasons I gave up acting. However, that's not the point of this rant. When last seen, the current Doctor (Matt Smith) went to war to recover his companion, Amy Pond, and her newborn child who would grow up to become River Song who would become the Doctor's wife at some point later in the time stream. The adult River is along for the adventure, by the way. Sound confusing, perhaps, I know; it's a timey-wimey-wivey thing. It works. Trust me. However, towards the end of the episode, River gives the Doctor crap about how his life is going, how he is becoming too much the warrior, and some such bilge. Excuse me? 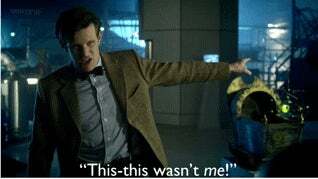 The Doctor goes up against nasty horrible bad guys that are trying to take over the Earth and/or destroy/enslave humanity and/or destroy the universe or time itself and the Doctor time and again defeats them armed with nothing but his wits and a sonic screwdriver. This has happened before. The previous incarnation of the Doctor – David Tennant (The Doctor regenerates from time to time when they need to change the lead actor and it's a wonderful idea that keeps the series fresh) – got taken to task by one of the worst of his enemies, a fiend called Davros who invented the Daleks who go around killing anything that isn't a Dalek. Said fiend accuses the Doctor of manipulating his companions so that they do the dirty work so the Doctor doesn't have to. And the Doctor appears to take him seriously! Where does the creator of the Daleks have any moral ground against the hero who has saved the universe time and again from the product of Davros' invention? Is the Doctor supposed to feel bad about being the hero? Am I supposed to think the Doctor is not the hero I think he is? 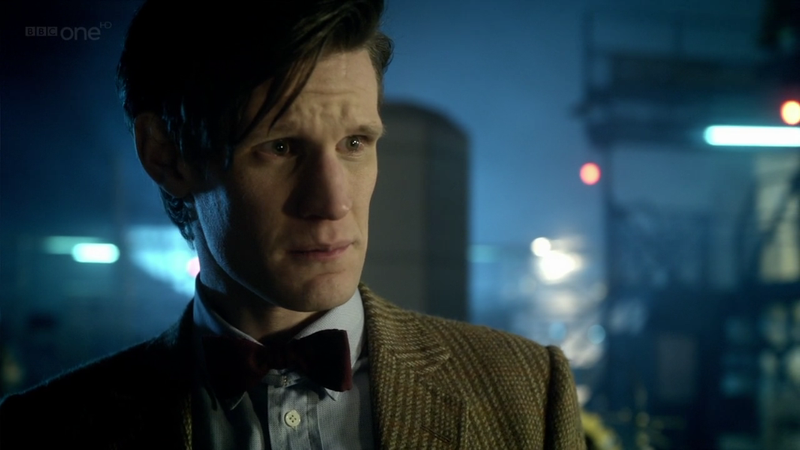 The Doctor is the good guy here, folks; I don't want him all angsty and doubting his own motives. I mean, c'mon – the next thing you know, he'll be doubting that bow ties are cool! I know bow ties are cool. The Doctor told me so. And I trust the Doctor. This article by John Ostrander originally appeared at ComicMix. Read more of his columns here.